Description: Agrell Architectural Carving provide their clients with concept rooms. 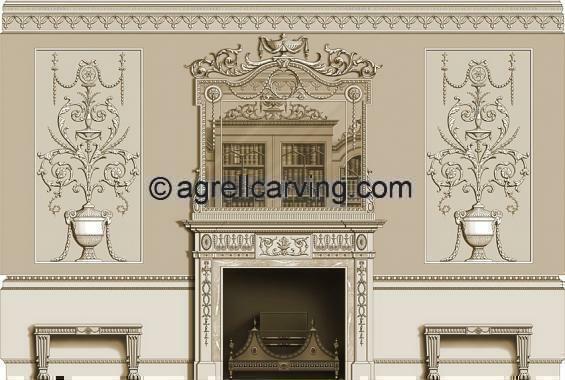 This is an example of a Neoclassical room, where all decorative elements are carved in wood. Each room is shown in 4 different elevations North, East, South & West. 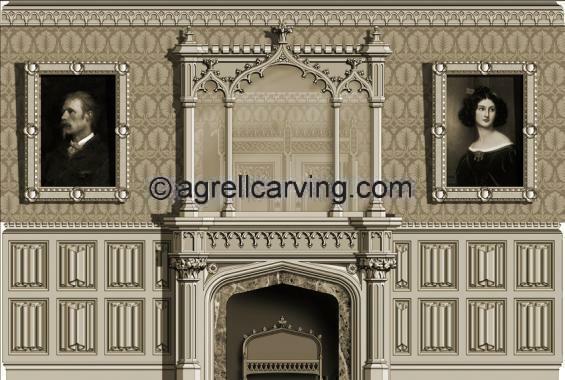 This is the west elevation which shows panels, a fire surround, overmantel, stools and frames all of which can be designed & carved by Agrell Architectural Carving.